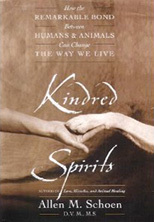 Keeping with the Theme of Kindred Hearts, I find it fascinating to see all the YouTube videos’ of animals of completely different species connecting and demonstrating affectionate behavior patterns (dare I say “love”) between each other. The first one that really hit the media was after the Tsunami in Indonesia. There actually is a storybook with photographs of the development of this highly unlikely friendship that developed between this orphaned hippopotamus and an “aloof” 100 year old Galapagos tortoise, Owen and Mzee, at an animal sanctuary in Indonesia. After great resistance by this tortoise who the sanctuary caretakers could not get to relate to any other animal, it finally, with great prodding and persistence by the orphaned hippo, became best of buddies and a kindred heart with the hippo and they soon became inseparable, nuzzling and grooming each other. I think this is such a powerful teaching for us humans, who have a challenging enough time loving each other, beyond racial, religious, sexual and other discriminatory divisions and labels. 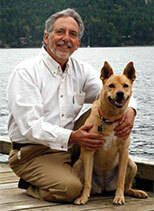 Here are two beings that are not only different species, but one is a reptile and one is a mammal! Now that is love beyond all labels! Since then, there have been numerous video’s of different species connecting and demonstrating affection for each other. 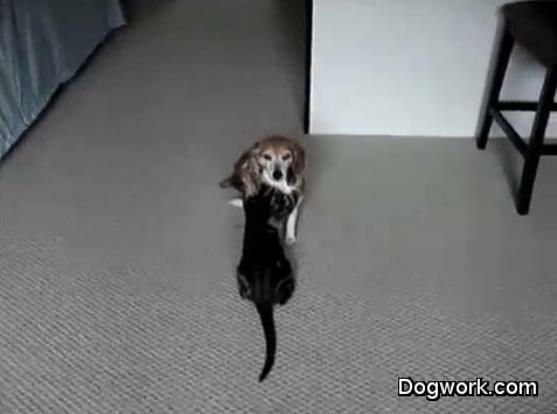 Click on these other videos’ to see dogs and cats, not fighting like “cats and dogs”, but rather showing definitive signs of affection for each other. 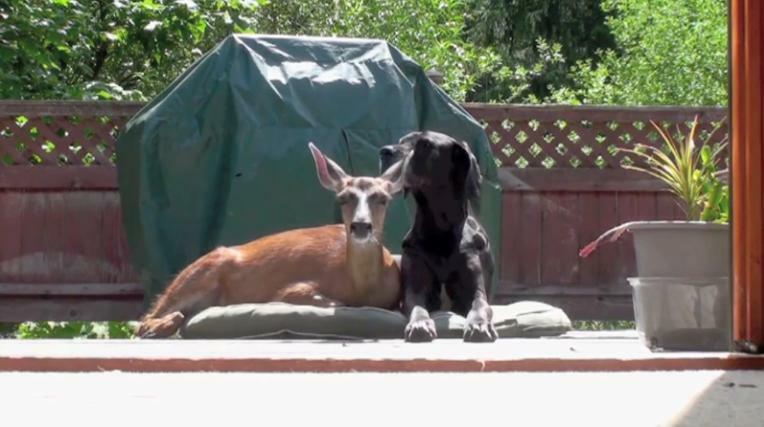 In addition, watch this video of a deer and great dane playing and resting together. If you have videos’ illustrating affectionate, friendly behavior between different species, please add them to the collection as I develop further documentation of love beyond labels! Let us follow their examples of love beyond all labels! Let us all love one another beyond labels! 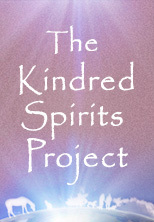 This is one way to create a more compassionate society, letting go of labels and loving all beings as if they are us. Guess what? They are! Happy Valentines Day and Month!